As a New Yorker, I still remember that horrible day. I was actually in-between jobs, job searching on the computer while listening to the news. And then suddenly news of the attack started pouring in. When I went outside, my home was in Chinatown toward Houston Street, I could see the smoke all the way from where I was. I don't know anyone directly that lost their lives that day, but it still haunts me. 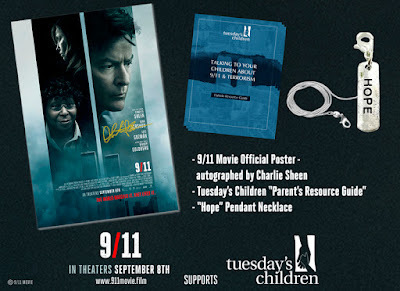 In Charlie Sheen's new film, 9/11, which is based on a true story, chronicles the lives of five average, everyday people who find themselves trapped in an elevator during the events of 9/11 in the World Trade Center. 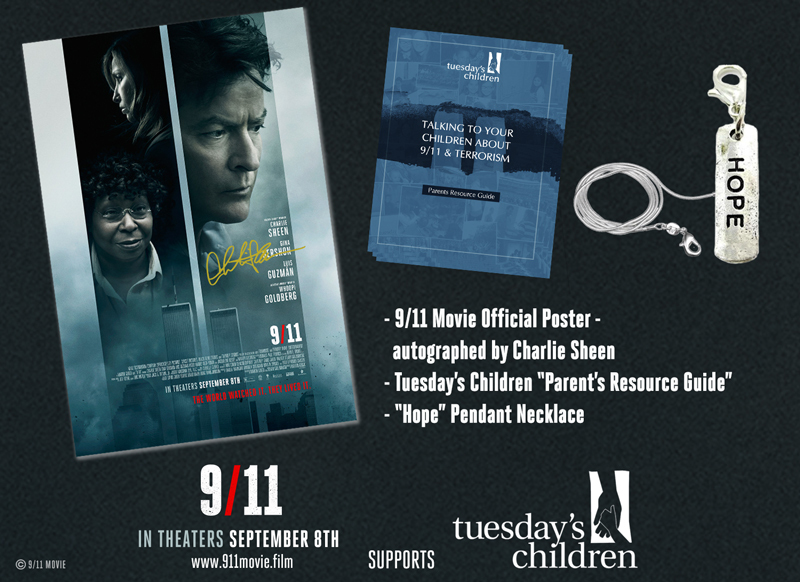 For more info on the film, visit here. 1. Follow us on Facebook here. 5. Comment below your full name and your Twitter name and include URL link to your tweet. Contest open to US Residents only. One entry per person. Additional entries, false information, false accounts will disqualify you. Contest ends 9/21/2017 9:00pm ET.